Your backyard is a sanctuary, and one that presents a world of wonder for children. Encourage their creative sides by setting up your backyard in such a way they’ll want to spend hours playing outside instead of inside in front of the television or computer screen. Construct your very own secret garden for your kids. If you have the space, you may want to set up “secret” plots for each child. Plant a few easy-to-grow veggies or flowers/herbs and give instructions on how to best care for them. Add other features to the garden, such as small bench or swing, as well as little birdbaths and statues. Create gardens you feel sync with your children’s personalities and enjoy giving them their own little areas to tend. Spend an afternoon looking for “fairy rings,” or small circles of mushrooms in your backyard. Legends and myths say that such rings are where fairies go to dance, and as long as any of the fairy ring mushrooms in your yard are not harming trees, let them be. Make sure to emphasize that these mushrooms are not for eating, but for enjoying and “fairy watching.” Add even more wonder to fairy ring areas by placing a “fairy doors” at the base of nearby trees. Turn an unsightly tree stump into a game board for your kids. Etch a permanent game board, such as a checker board, into the wood using a carving tool, or provide sidewalk chalk for the kids to draw their own boards. You may also opt to paint a game board onto the stump with waterproof paints. Create a playground out of old tires if you have the space! Paint them various colors with waterproof paints, and use them to make tire swings or variations on tire swings, as the internet is full of creative options. Bury the tires halfway to make objects for children to jump over, or use the tires to construct sturdy forts. If going for the latter, you’ll have to ensure the tires cannot fall on the children at any time. Make a path your kids can follow to a hidden playhouse on your property. Use trees and bushes to disguise it, or create a magical entrance with a trellis. Commission playhouse construction or build it yourself if you have the time and skill. 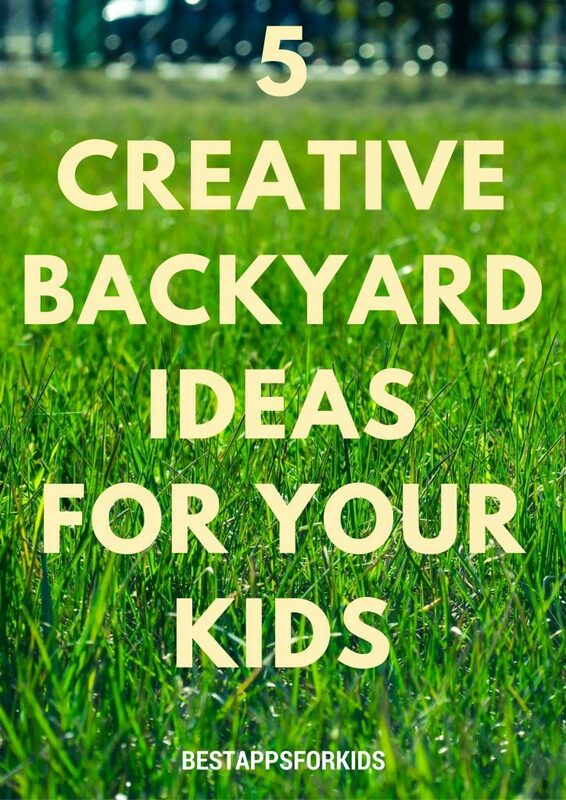 Have the above options inspired any creative ideas for your backyard?